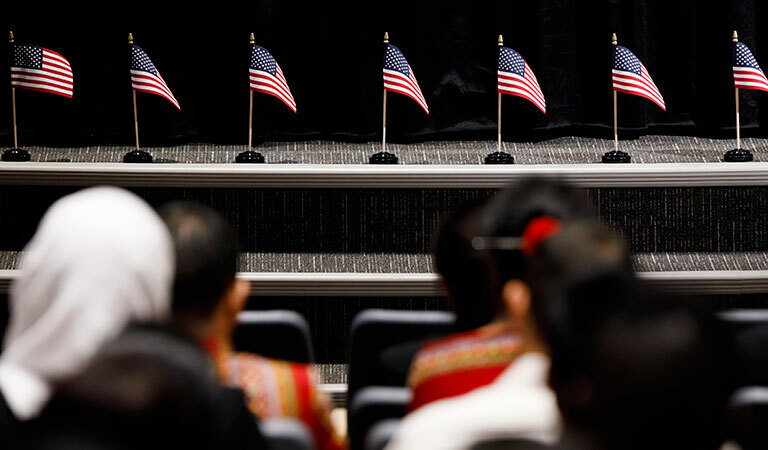 Flags provided by the Daughters of the American Revolution line the stage at the Naturalization Ceremony hosted by IUPUI. Jane Magnus-Stinson, Chief United States District Judge of the United States District Court for the Southern District of Indiana, opens the Naturalization Ceremony at IUPUI. 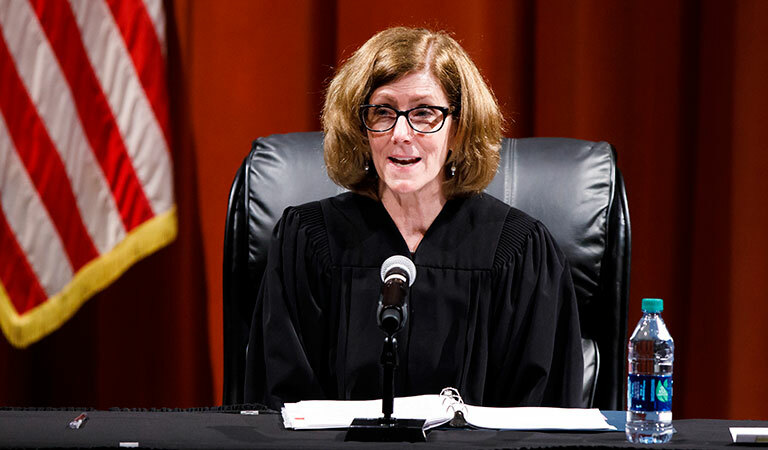 Chief Judge Magnus-Stinson is a graduate of the IU McKinney School of Law at IUPUI. 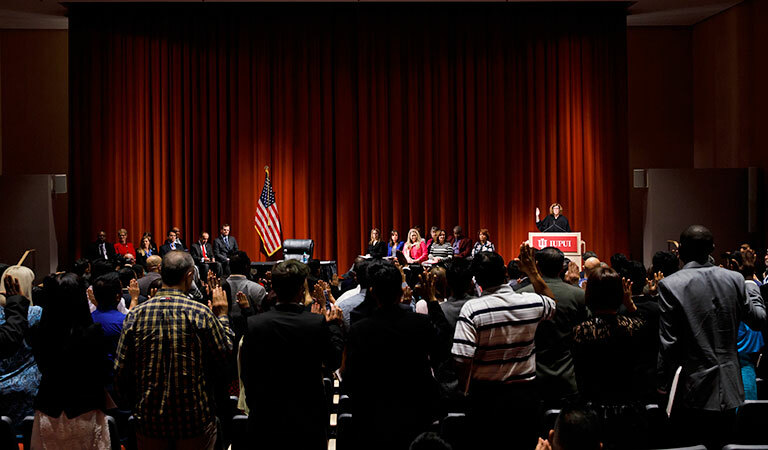 Chief Justice Magnus-Stinson leads future citizens in the Oath of Citizenship during the Naturalization Ceremony at IUPUI. 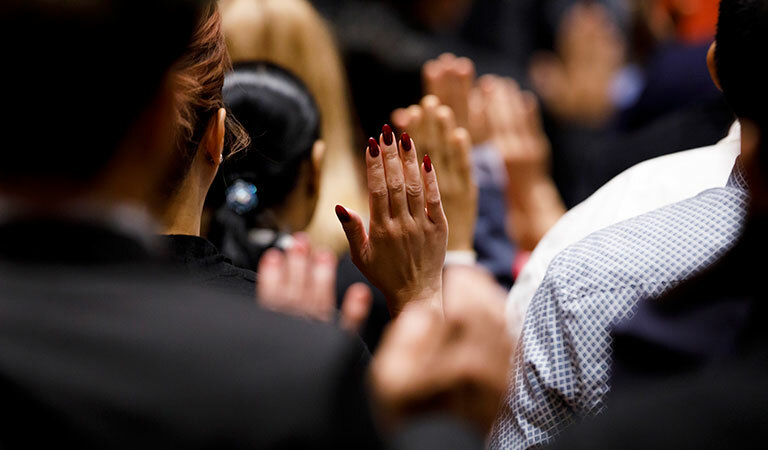 New citizens take the Oath of Citizenship during Naturalization Ceremony at IUPUI. 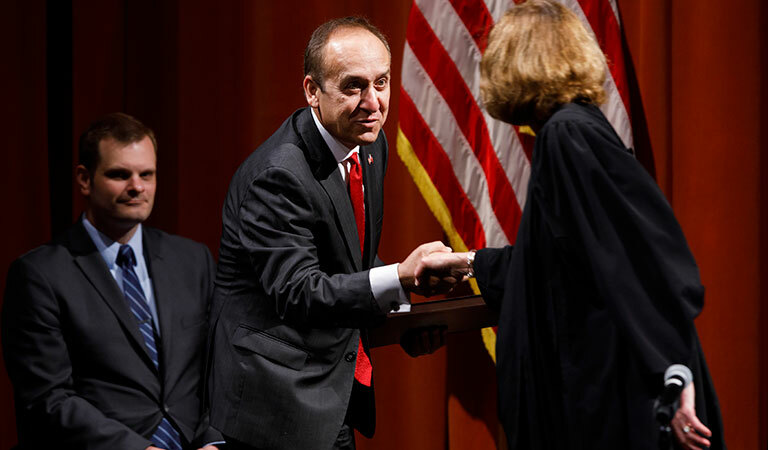 Chancellor Paydar greets Chief Judge Jane Magnus-Stinson at Naturalization Ceremony hosted by IUPUI. 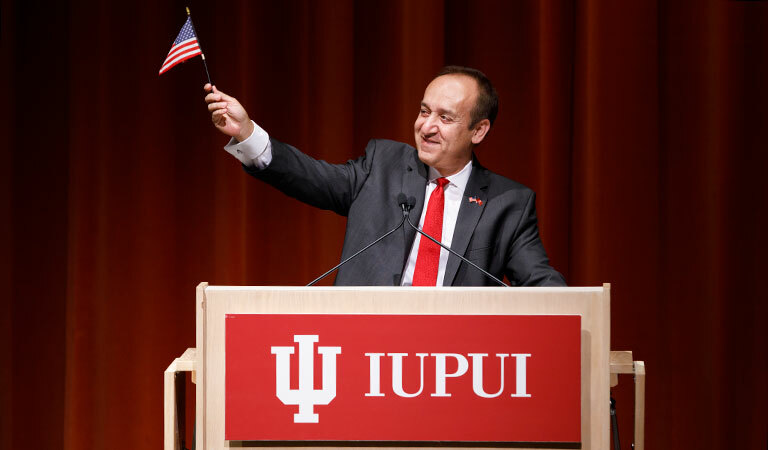 During his remarks at the Naturalization Ceremony hosted by IUPUI, Chancellor Paydar shares the flag he received when he became an American citizen 25 years ago. 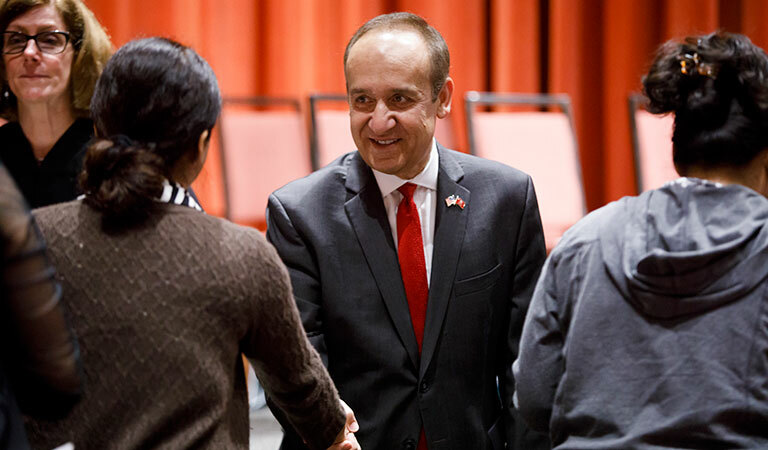 Chancellor Paydar greets new citizens at Naturalization Ceremony hosted by IUPUI.